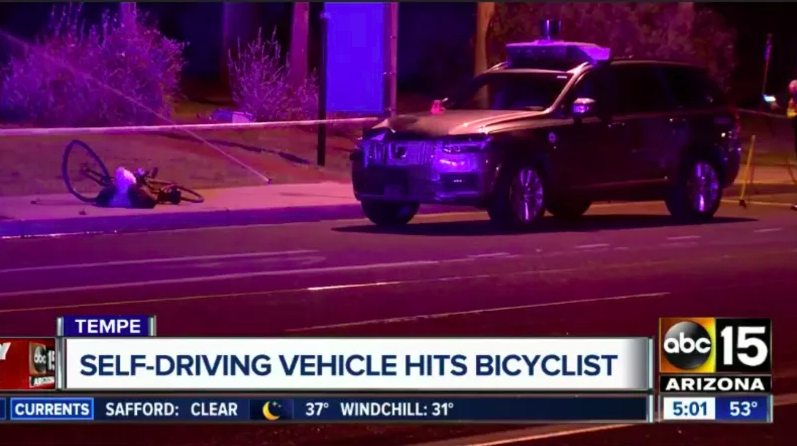 The reason an Uber self-driving car fatally struck a pedestrian in March is coming into sharper focus, thanks to the release of a preliminary report on Thursday from the National Transportation Safety Board. But the agency's findings raise a notable question: If the car (a Volvo XC90 outfitted with Uber's own self-driving tech) had had its driver assistance functions from Volvo engaged at the time, including automatic emergency braking, could the impact of the crash been lessened or avoided entirely? It seems almost certain. The XC90 that fatally struck 49-year-old Elaine Herzberg on March 18 had been equipped with several driver assistance functions made by Volvo Cars, the NTSB wrote, including a collision avoidance function with automatic emergency braking called City Safety, which is included as standard in all new Volvo XC90s. When Uber's autonomous XC90 was being operated manually by a driver, the Volvo system was engaged and functioning. But when the autonomous mode kicked on in Uber's modified Volvos, the NTSB found, all of these safety functions were disabled. 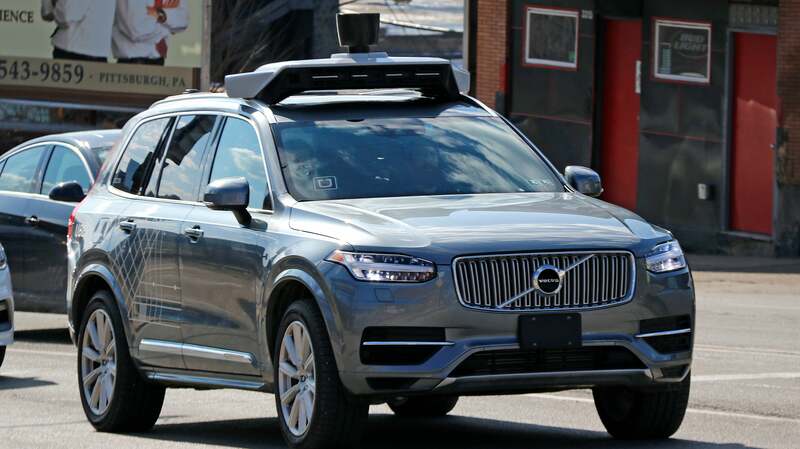 "According to Uber, the developmental self-driving system relies on an attentive operator to intervene if the system fails to perform appropriately during testing," the NTSB's report stated. "In addition, the operator is responsible for monitoring diagnostic messages that appear on an interface in the center stack of the vehicle dash and tagging events of interest for subsequent review." 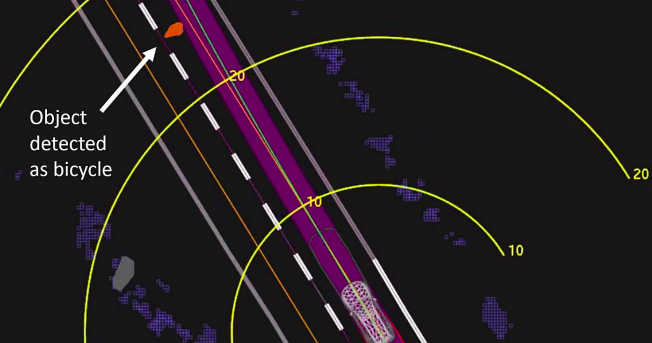 According to data obtained from the self-driving system, the system first registered radar and LIDAR observations of the pedestrian about 6 seconds before impact, when the vehicle was travelling at 69km/h. As the vehicle and pedestrian paths converged, the self-driving system software classified the pedestrians an unknown object, as a vehicle, and then as a bicycle with varying expectations of future travel path. At 1.3 seconds before impact, the self-driving system determined that an emergency braking manoeuvre was needed to mitigate a collision (see figure 2). According to Uber, emergency braking maneuvers are not enabled while the vehicle is under computer control, to reduce the potential for erratic vehicle behaviour. The vehicle operator is relied on to intervene and take action. The system is not designed to alert the operator. But, Uber's system isn't equipped with automatic emergency braking maneuvers. "The Uber system is in development," NTSB spokesperson Christopher O'Neil told me, "and at this stage of the system's development it's not capable of executing the emergency braking manoeuvre." As Uber put it, this is intended to "reduce the potential for erratic vehicle behaviour." Lastly, despite not having any sort of emergency braking capability, Uber's system is not designed to alert the operator when they need to abruptly slam on the brakes. Many observers have, justifiably, focused on the last point; Uber's system wasn't capable of automatic emergency braking and had no system to alert the operator when they needed to brake abruptly in those types of scenarios. But I want to zero-in on something else: What if this car had been in manual mode at the time, and Volvo's system had been engaged? Would it have stopped in time, or at least prevented a fatality? Uber didn't want to discuss the possibility, citing the ongoing NTSB investigation. "As a party to the investigation, we cannot comment on facts that have been developed through the investigation so I can't dive into the specifics around the questions you've asked here," an Uber spokesperson said. The same goes for Volvo. "The truth is about these systems is, at that speed, an automatic emergency braking system that could pick up a pedestrian would not be able to stop in time necessarily to prevent the crash," said Jake Fisher, Director of Automotive Testing for Consumer Reports. "It certainly would be able to lessen the severity." Volvo City Safety's parameters are fairly straightforward, according to the automaker. In a nutshell, it can help avoid a collision with a pedestrian by reducing speed by up to 28 mph. Anything greater than that, "City Safety's auto-brake function cannot prevent a collision but it can help mitigate effects of the collision." The system's warnings and braking may be delayed if weather conditions prevent the camera from detecting a pedestrian, but it was a relatively clear night at the time of the crash. 3) Auto-Brake, the brakes are applied automatically. "If the driver has not taken action at this stage and a collision is imminent, auto-braking will be triggered," Volvo says. "Full braking effect will be used to avoid the collision if possible or to make the speed at the point of impact as low as possible. In certain situations, auto-braking may begin with limited effect before full braking is used." What If Volvo's System Had Been In Use? So what would have happened Volvo's system had been engaged at the time, and detected Herzberg at the same moment Uber's system had? According to the NTSB, 1.3 seconds before impact, the vehicle realised it needed to activate an emergency braking manoeuvre, which is defined as a "deceleration greater than 6.5 m/s^2." Time for some maths. If we assume that the vehicle would have slowed down at a constant 6.5 m/s^2 starting exactly when Uber's system realised emergency braking was needed to avoid a collision, it would have reached the pedestrian (who was ~25 meters away according to the NTSB report) travelling 24km/h, not 69km/h, said Bryant Walker Smith, a professor at the University of South Carolina's School of Law who studies driverless car regulations. I asked him how Volvo's system might've performed and he said, based on the known facts, had an automatic emergency braking system been used, the Volvo system - had it detected Herzberg - would have significantly decreased the speed of collision. 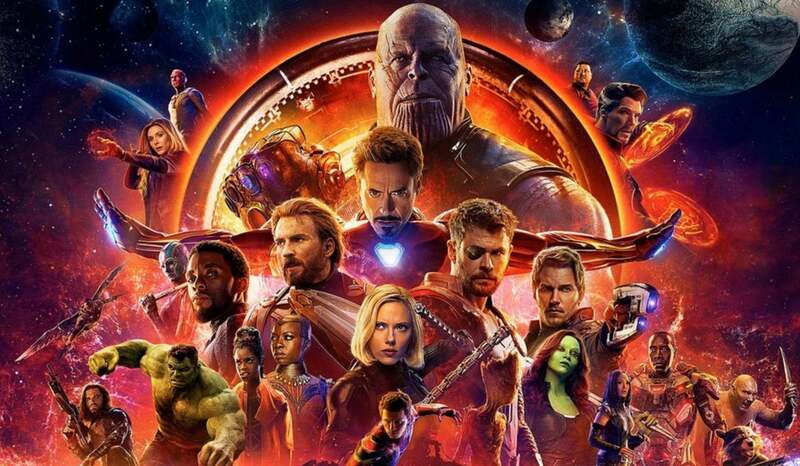 Even putting the rough calculation aside, Walker Smith said, "The system should have behaved more cautiously earlier than 1.3 seconds," Walker Smith said. "But even at this point these rough calculations suggest that automated braking could have significantly decreased the speed of collision or, if the pedestrian were moving quickly enough, missed it entirely. This is consistent with Volvo's AEBS system, which works best at speeds under 69km/h." Studies have taken hard looks at the likelihood pedestrians die at any given speed. Back in 2016, nonprofit news organisation ProPublica, made an interactive chart based on a 2011 study from the AAA Foundation for Traffic Safety, which examined four years of U.S. car v. pedestrian crash data. The difference is stark: at 64km/h, there's a 45 per cent chance a pedestrian dies; at 69km/h, that number jumps to 53 per cent. The second main point is that once cars reach a certain speed (just above 32km/h), they rapidly become more deadly. According to Tefft's data, a person is about 70 per cent more likely to be killed if they're struck by a vehicle travelling at 48km/h versus 40km/h. Dan Edmunds, director of vehicle testing at automotive website Edmunds.com, said, because of the vehicle's speed at the time, "that's probably not a situation at that distance where you would necessarily avoid contact." "But it would certainly be at a reduced speed," Edmunds said. Fisher, of Consumer Reports, pointed to the lack of an emergency auto-braking feature in Uber's system as a serious point to consider. "It really makes you scratch your head how can they be testing an advanced self-driving system that doesn't have the capabilities of the Toyota Corolla," he said. "Clearly they were developing a self driving system," he added, "it was not finished."